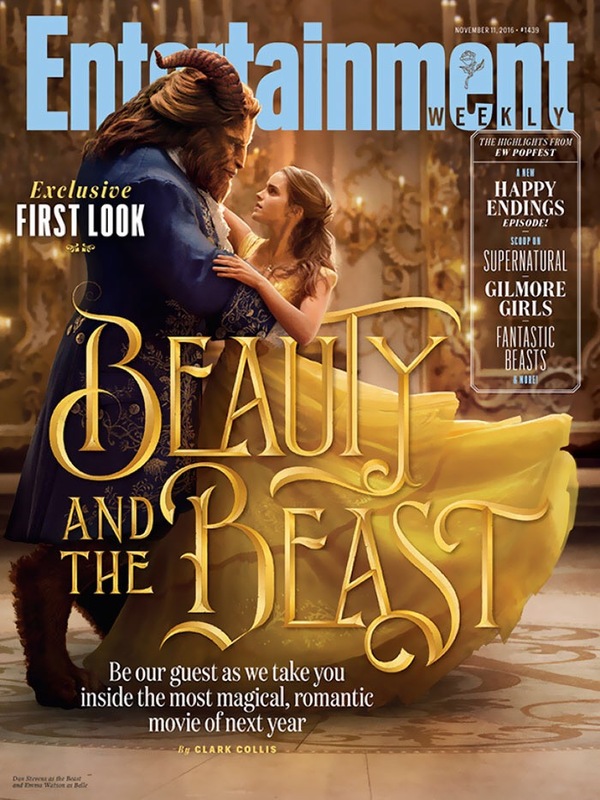 Entertainment Weekly published these exclusive photographs of the forthcoming live-action adaptation of Disney’s 1991 animated classic Beauty and the Beast this week. The film stars an ensemble cast that includes Emma Watson, Dan Stevens, Luke Evans, Kevin Kline and Josh Gad. With the voices of Ewan McGregor, Stanley Tucci, Gugu Mbatha-Raw, Audra McDonald, Ian McKellen, and Emma Thompson. 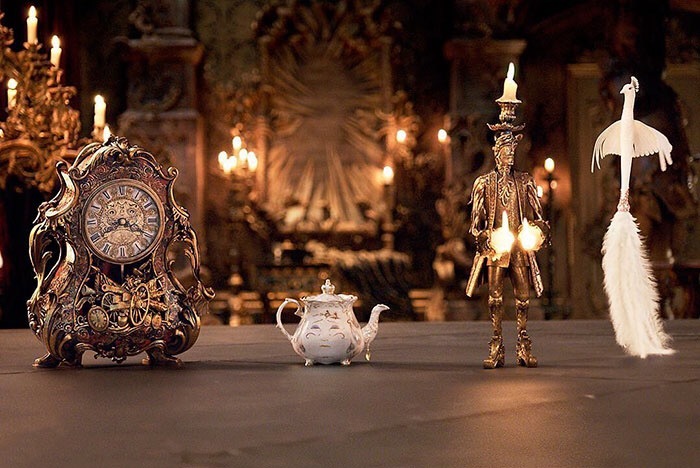 Beauty and the Beast is directed by Bill Condon best known for directing and writing the critically acclaimed films Gods and Monsters, Chicago, Kinsey, Dreamgirls and the two final instalments of the Twilight series, The Twilight Saga: Breaking Dawn Parts 1 & 2. 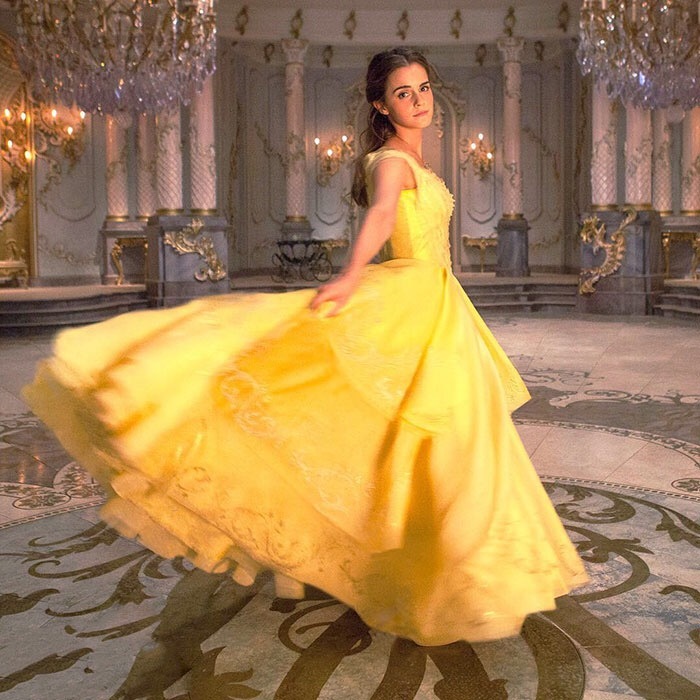 Principal photography began on Beauty and the Beast at Shepperton Studios in Surrey, England on 18 May 2015, and ended on 21 August 215. The film is scheduled to be release on 17 March 2017. Disney Illuminations the new night time spectacular scheduled to start on 26th March 2017 as part of the 25th Anniversary celebrations of Disneyland Paris will feature images and scenes from the live-action version of Beauty and the Beast together with scenes from Star Wars and Pirates of the Caribbean all conducted by Mickey Mouse onto the iconic Sleeping Beauty Castle in the Disneyland Park. There is an interesting mix of pins being released at Disneyland Paris this month. 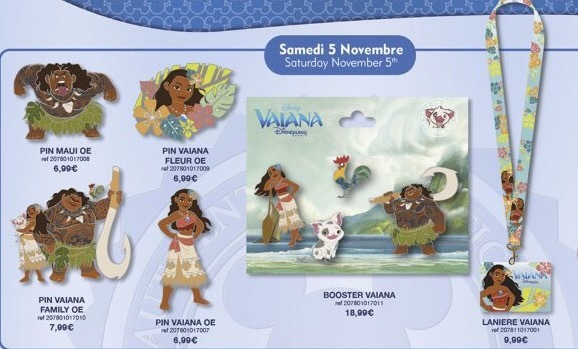 The 5th November sees four open edition Moana / Vaiana pins and a booster set together with a Moana lanyard being released. Also released on the 5th November is an Up pin featuring the classic House and Balloons design and a Marry Poppins. 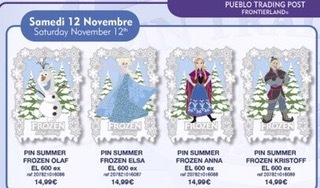 This months limited edition pins start to be released on the 12 November with a set of four Frozen pins being released at the Puelbo Trading Post in Frontierland. 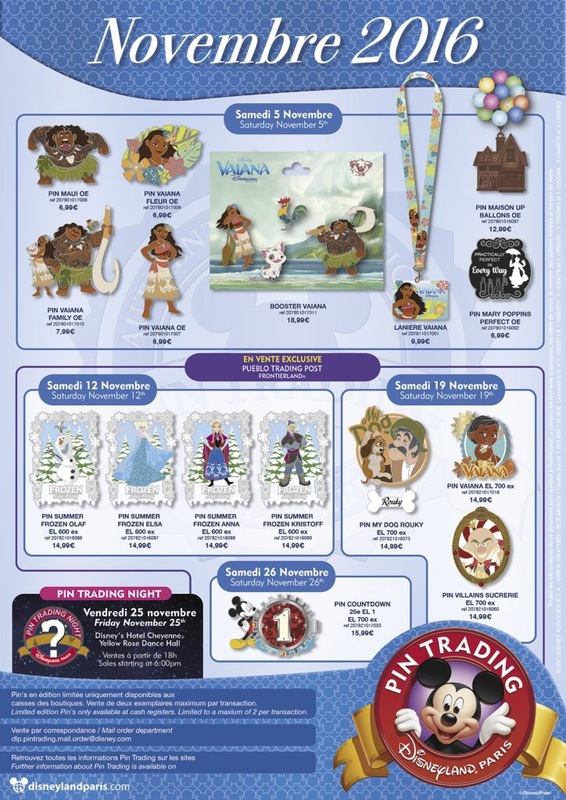 19 November also sees another exclusive limited edition release at the Puelbo Trading Post in Frontierland featuring pins from Moana, Lady and the Tramp and a villains pin finally on Saturday 26 November the first in a series of Countdown pins is released. This months Pin Trading Night will be held on Friday 25 November at the Yellow Rose Dance Hall at Disney’s Hotel Cheyenne starting at 6:00 PM. 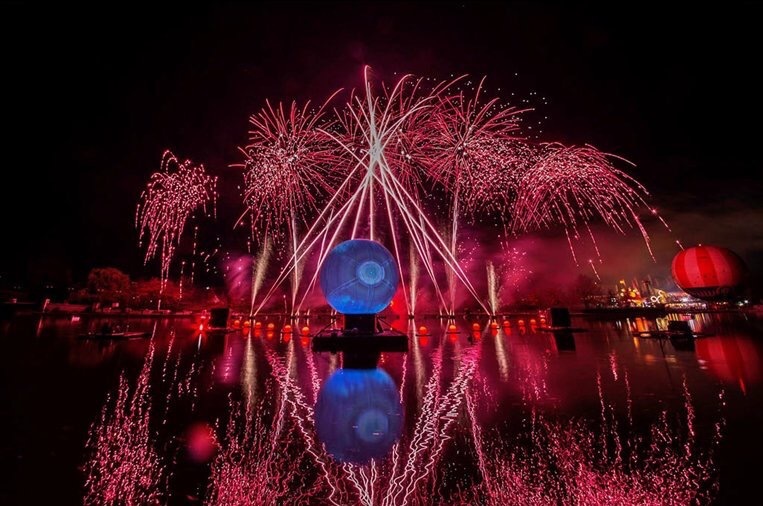 Tonight was Disney’s Magical Fireworks and Bonfire show on Lake Disney, and Euro Disney President Catherine Powell sent a Tweet congratulating everyone involved. “A breathtaking fireworks night! Teams, you rock for preparing such an amazing show at Disneyland Paris.” — Catherine Powell, Présidente. The show runs again at 8:30 PM on Monday 7th November 2016.